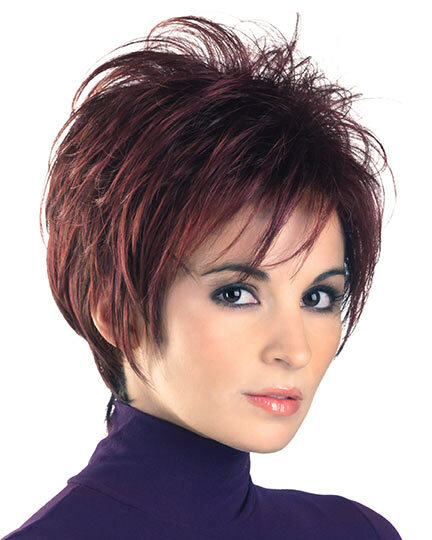 Bangs 4.75", Top 7", Sides & Back 4"-6.25", Neckline 4.75"
Touchable by Alan Eaton is a layered short bob with a sweep of bangs. 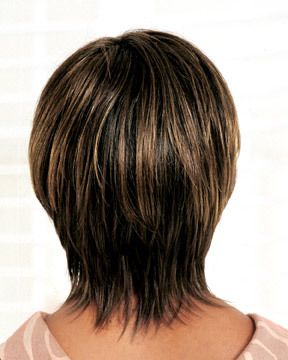 If you were to search for this wig at a brick and mortar wig salon its name is Alan Eaton Influence. Alan Eaton's StretchFit cap gives you a whole new level of comfort and secure fit. There are 30 colors available for Touchable. If you would like to discover other products that share some of Touchable's qualities try the links below.